Plus Size Deer Costume By: Bayi Co. for the 2015 Costume season. 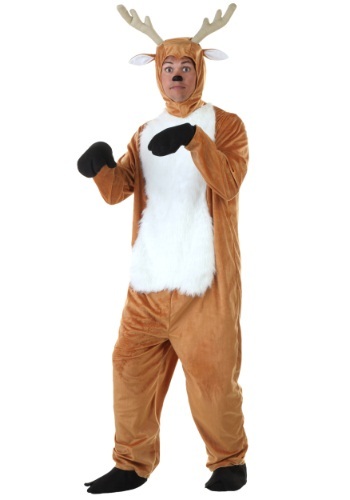 When you wear this Plus Size Deer Costume, you'll have to be careful that you don't become some hunter's trophy! You can wear this as part of a woodland, hunting or wildlife theme, or as part of Santa's sleigh team--you choose.